MS® Melt Blown Filter Bag provides outstanding performance on contaminant applications where the minimalization of particle travel is important. 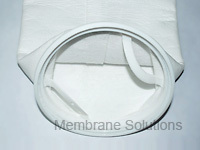 The Melt Blown Filter Bag contains three layers:a pre-filtering layer that removes coarse debris; the primary layer, composed of micro pores (for efficient particle retention); and an outer cover that prevents fiber migration. The finish-free fibers are non-foaming, which is ideal for food, beverage, water, chemical and coatings applications. 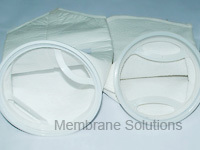 Our long life time Melt Blown Filter Bag has very large dirt holding capability.